Muscle catabolism (i.e. your muscles getting smaller) won’t begin until several days after your previous meal, with one caveat: you must stimulate your muscles. This means that so long as you train three times a week (or more) reducing meal frequency will not result in any muscle catabolism whatsoever. A possible exception to this may be following an intense workout. We don’t advise skimping on post-workout nutrition. A healthy body is incredibly good at maintaining proper blood sugar levels in healthy dudes with a healthy diet. It would take upwards of 48 hours without food before there would be a noticeable difference in blood sugar levels. (Study.) The same study from point number one also shows that insulin sensitivity is better with three daily meals than it is with fourteen. Where does the 9-meals-a-day myth come from? These frequent eating myths are the result of slight misinterpretations of some famous studies. 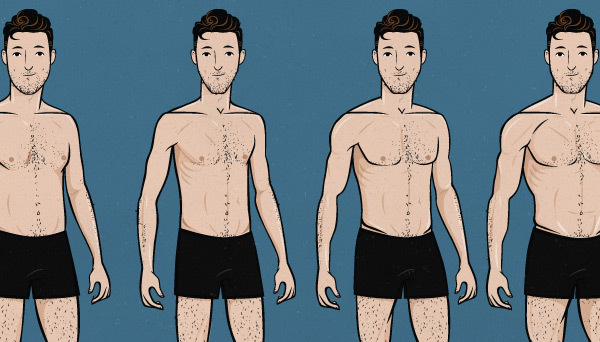 Most of these studies are correlation studies, and since eating frequently has come into vogue among the ultra-fitness guys there has been a correlation between fit guys and eating frequently. 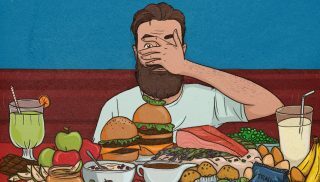 It isn’t that eating frequently necessarily produces a great body, but rather that guys that train and eat well also tend to eat frequently, and guys that don’t care about their diet or training eat haphazardly. This results in a correlation. This myth is also easy to believe because frequent eaters often notice their body grumbling and complaining when it isn’t fed frequently (which may not be a problem for you, mr. ectomorph). Hormones like epinephrine, norepinephrine, insulin, glucagon, leptin, and ghrelin come into play when it comes to appetite and messing with it can produce a variety of effects. Some people get grumpy, some people get headaches, some people get uncontrollable cravings. They interpret these symptoms to mean that their blood sugar levels have dropped, that their body has run out of nutrition or that their hard-earned muscles have begun wasting away. 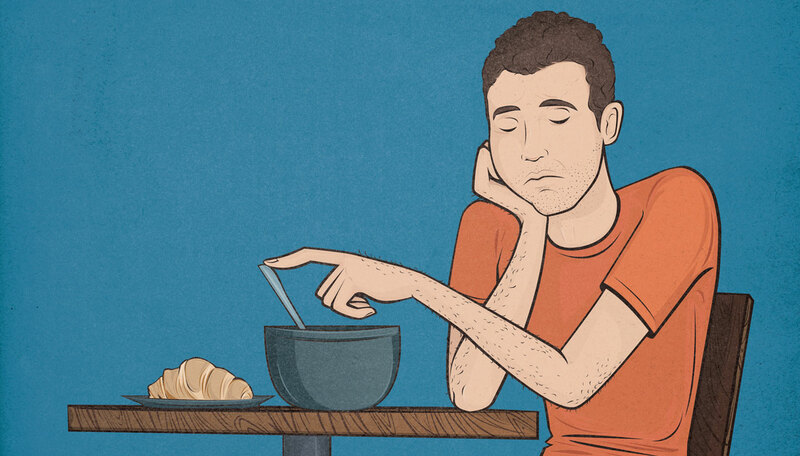 There are two simple reasons why your body grumbles and you may feel grumpy. The first is that most people these days are addicted to processed sugar and carbohydrates in a similar way that many of us are addicted to caffeine. If you don’t get your fix your body complains. The second reason is that your body has become habituated to it. You could also get habituated to eating less frequently though, depending on your preference. You may still get waves of hunger, but these waves of hunger aren’t necessarily an indication of anything going wrong, especially if you have a healthy lifestyle. Now—I should add here that there are ways of pushing meal timing to the extreme. Lately intermittent fasting (IF) has become popular. 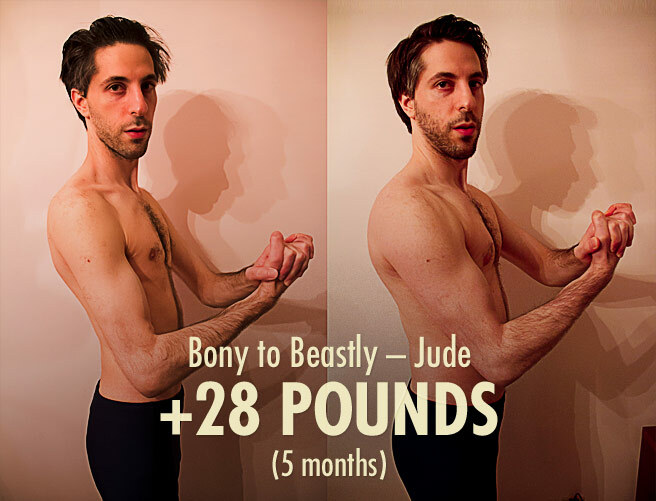 This is a great fat loss technique, as it helps limit calorie intake while keeping meal sizes pleasantly large—but this is the opposite of what you’ll want to do as an ectomorph trying to build muscle. You may in fact find that eating every 2-3 hours is ideal for you, because starting out your appetite and stomach are rather small. A lot of our guys start off eating frequently, their bodies respond by producing more digestive enzymes, their appetite increases, and then they can progress to eating larger meals less frequently. Four meals a day is my personal preference, but everyone’s lifestyle is different, so we help our guys figure out what works best for them. There are also a lot of incredibly intelligent experts out there that recommend eating schedules for a variety of reasons that have nothing to with the 5 popular myths listed up above. Some experts recommend eating many small meals a day because they find it helps people have better control over their cravings and results in better adherence to their diet. Intermittent fasting experts recommend eating intermittently so you can eat larger meals while restricting calories (amongst other reasons). There are lots of techniques out there that have a lot of validity to them. All of them are based on the same underlying principles of nutrition but tailored to different people, preferences, lifestyles and goals. 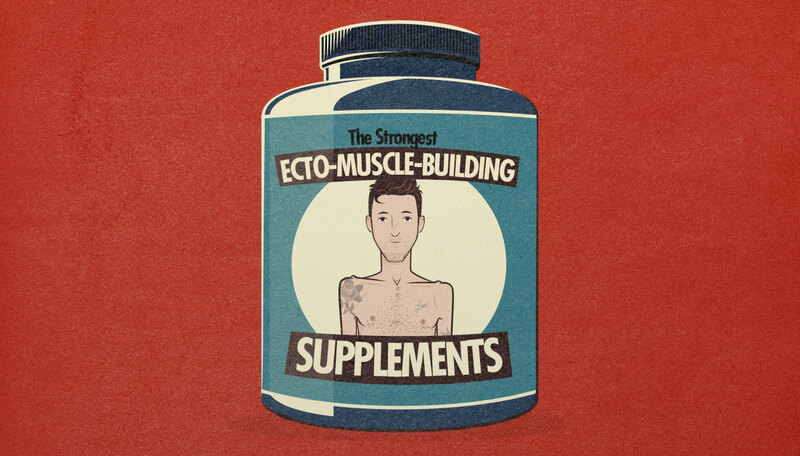 Sadly most of them are tailored to men and women trying to lose weight, not at ectomorphs trying to build muscle. How much can you eat in one meal? If you can comfortably consume 1200 healthy calories in a meal you may be able to get away with having three big square meals a day. If your stomach complains after 700 calories you might need to eat four + a snack. There are lots of tricks to boosting meal calories—different macronutrients will fill you up to different amounts, liquid calories are easier on your appetite than solid calories, etc. There are lots of ways to tinker with meal size even if your appetite is small. How many meals fit comfortably into your schedule? Our members include bartenders, students, a coal mine worker, doctors, graphic designers, musicians, businessmen, military guys and pilots. Some of these guys work 10-14 hour straight shifts and some of them spend most of their time at home doing freelance design work or studying. You need to figure out what fits into your schedule and size your meals accordingly. For most ectomorphs eating three or four meals with a couple snacks thrown in is the best way to go. Breakfast, lunch, dinner and a snack before bed is a perfectly great way to build muscle like a beast. Breakfast, brunch, lunch, supper and a six course dinner followed by another late night meal and two snacks will also work—if you’ve got the time for it and love to eat. Don’t freak out about having to eat every two hours or stress out about losing muscle mass if your stomach grumbles. But make sure to find a way to eat enough overall. There are some nutrition facts that are hard to avoid when looking to build muscle (or lose fat) but meal frequency isn’t one of them. 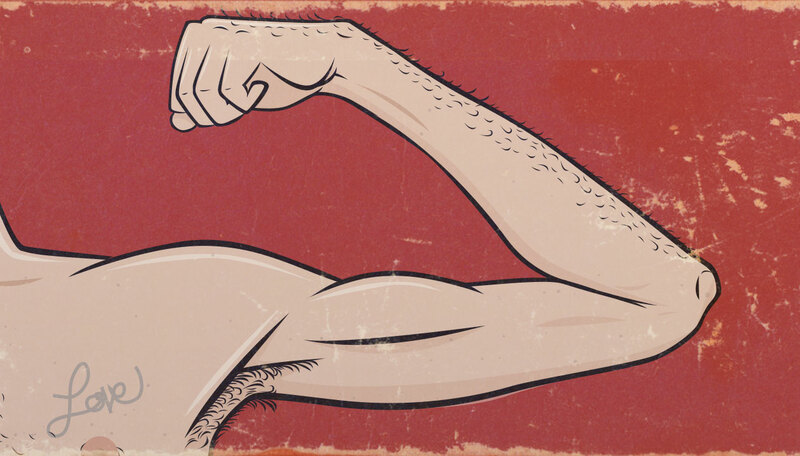 If you liked the post, “Like” it, share it, and Check out the other Muscle-Building Myths. Getting two meals and a snack together in the mornings, and carrying them with me to work is getting results, but if this does too, it could seriously simplify things for my schedule! Haha. Definitely gonna try this one out. Thanks for the tip! Do you ever notice guys in the gym who go just about everyday with high-intensity weightlifting (or so it seems)? 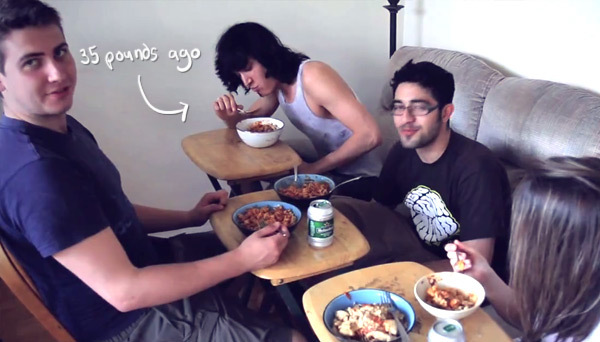 And do you ever notice that these guys never gain weight? Its because their nutrition is sub-par. 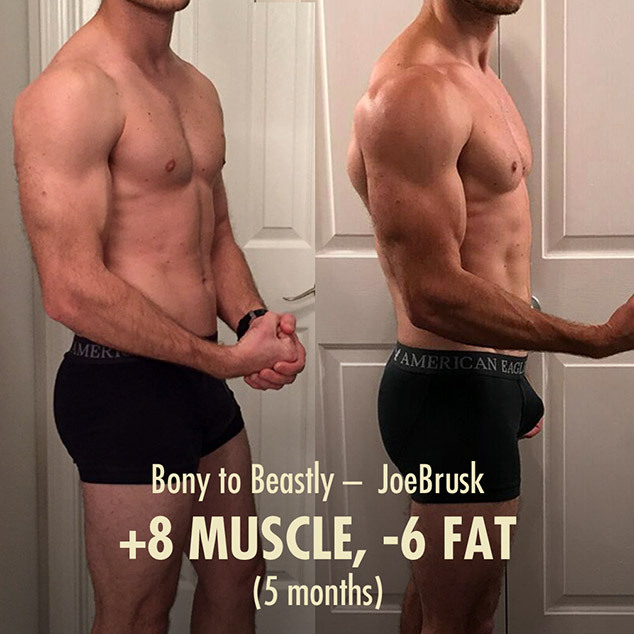 Sub-par in the “2-meals-a-day” sense… The breakdown and rebuilding process will never progressively support full-potential gains without exceeding your body’s average sustainable caloric intake, consistent dosages of protein, healthy testosterone levels, and basic nutritional maintenance. 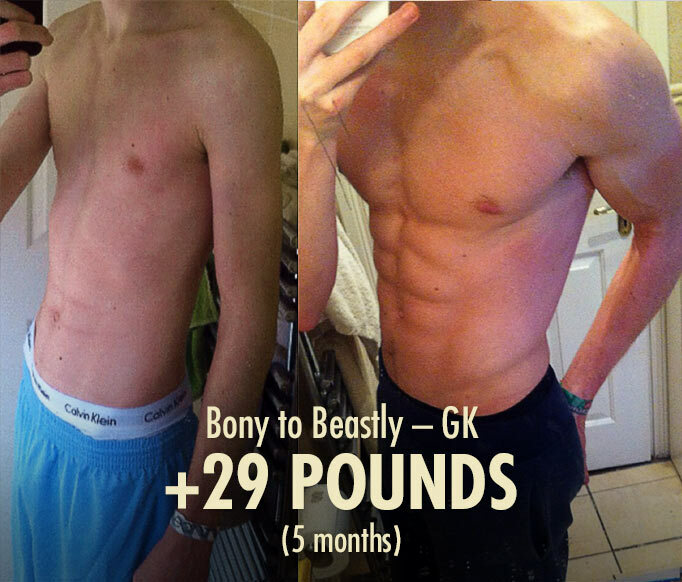 Im a body builder myself, and believe me, nutrition is 95% of the battle… It shouldn’t be played off as anything less. 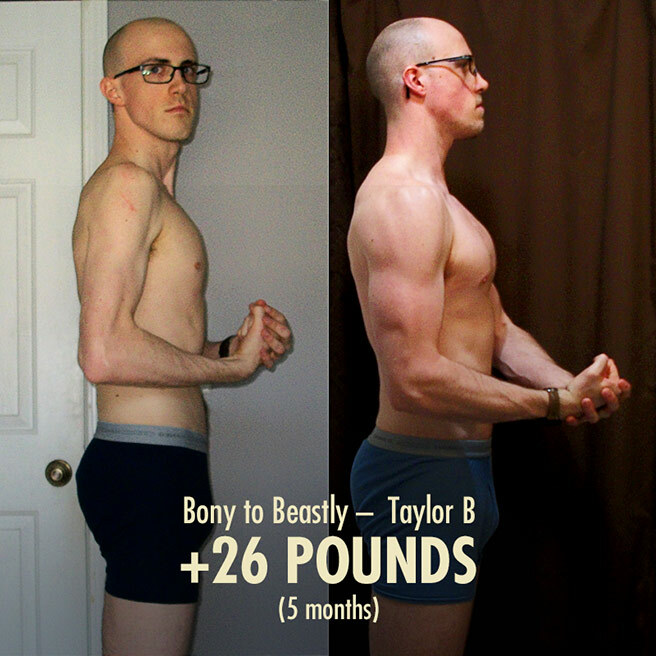 The rate of muscle building is actually completely reliant upon the person’s ability to feed themselves the right foods and in the right amounts, which is about every hour and a half. You got it wrong. Your looking at the body’s ability to survive as opposed to the body’s ability to thrive. Yes the body will survive a long time without food, but only if its not building muscle. If its building muscle, it uses up protein you feed it very quickly (like I said, about an hour and a half), and then it needs more to continue building. Your crazy if you think 40 grams of protein is going to last half a day during the rebuilding process. False information. Eat often, healthy, and in conservative amounts throughout the day and you will double your gains bro. Trust me. Ah right on. I love having our articles challenged—keeps us on our toes! I absolutely agree with you about feeding your body the nutrients that it needs to thrive, and of course to gain the most muscle possible you’d want to be eating at a nice calorie surplus. You don’t need to eat OFTEN to do it though. Four 1000 calorie meals will get you just as far as eight 500 calorie meals, as you’d be consuming 4000 calories of the same nutrients either way. It sounds like with your frequent protein intake you’re talking about maximizing muscle protein synthesis (MPS)? With that in mind you would want to consume protein (ideally high in leucine/BCAAs) relatively regularly due to the refractory nature of MPS … but you’d max out on your anabolic muscle-building benefits eating just once every 4-6 hours. More than that is fine, but not any better. Eating three times a day has consistently proven to be just as effective as eating more frequently when the quality and quantity of the nutrients are matched. Eating frequently is always an option though, and it works great! If you’d like to contest this I welcome the challenge. We aren’t trying to push an ideal here, just share the most accurate information that we can. This guy doesnt know his stuff…there are only 21 amino acids, 9 of which are essential, the other 12 can be produced by the 9 essential but the essential amino acids can not be created by the body as a source of energy or to build muscle, they must be ingested. Also, blood sugar is effected before 48 hours. If you take your blood sugar after a meal and then twelve hours later you take it again there will be a significant difference in level. 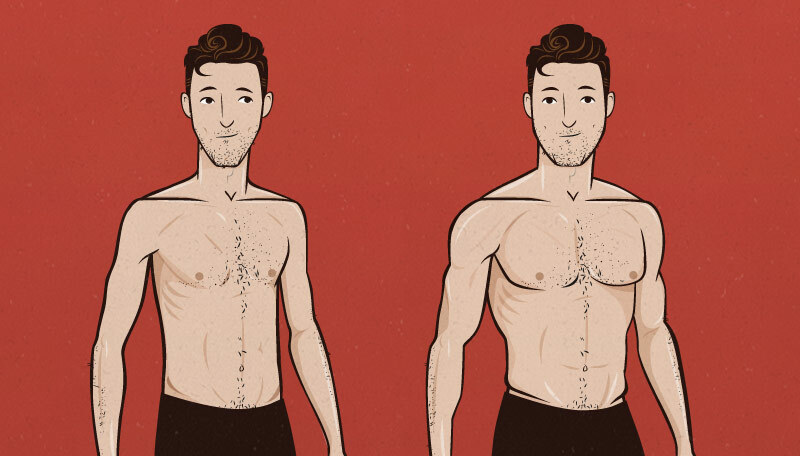 I agree with the overall point youre trying to make in the article but your info is just drawn from a hat of imaginary knowledge…i think muscle growth can happen with eating only a few times a day but your points to prove that are inaccurate. Wrong.Testosteron drops down everytime we eat(and HGH).Our body can take only what it can take.All the rest is waste of money and hormons disbalance.It can lead to serious health problems.Eat normally and train optimally. Yea, I pretty much agree with your analysis. 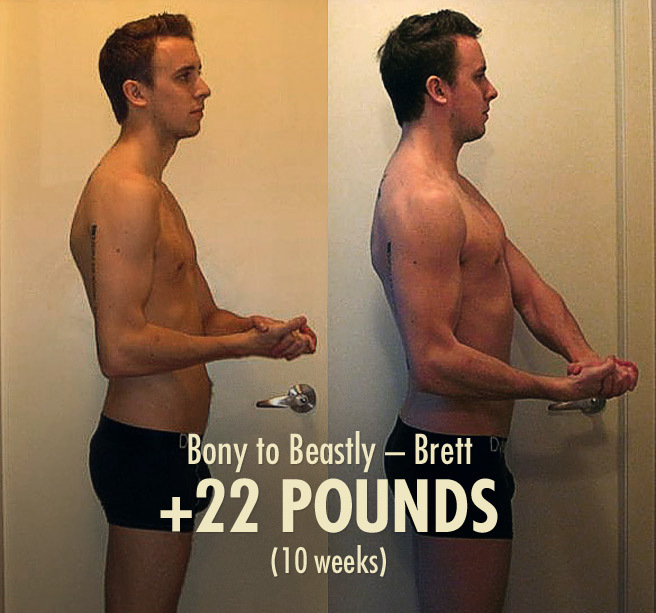 Eating frequent meals is a bodybuilding culture myth promoted by guys on roids. Fact is, you can make all sorts of radical gains on roids regardless of what rediculous rituals you follow. If you’re not progressing in terms of muscle mass development, it’s probably a training, nutrition or rest issue. Not some silly eating ritual. Some studies have shown that being in a constant fed state actually hinders your body’s ability to produce HGH and raises cortisol. I guarantee that our ancestors weren’t running around on full bellies all day, and we’ve evolved accordingly. Great stuff here. It is nice to find voices of reason in the ocean of BS and dogma that is the internet. I think the 6 meals a day thing proves to be totally impractical for most folks and because it is often presented as a must for diet success, people just quit. On a side note, I think it is also one of the bigger contributors to the plethora of over fat people around these days. The size of a meal, if you eat six a day to lose weight, is so small for most people that it is just a tease. Ahaha “a tease” – yeah you’re right. I’ve always found it easiest to reduce calories by reducing the number of meals I eat, not the size of the meals that I eat. I enjoy eating to satiety (if not fullness) but find it very very easy and enjoyable to not eat as often! When bulking you’re right – it’s so much more practical to eat bigger meals! Otherwise you could easily spend half your day eating. Not bad if you’ve got an easygoing schedule and love to eat, but not the best for productivity or compliance! Do you know anything about intermittent fasting “IF” ? It said that, with “IF” we can boost our Growth Hormone 2000 % on male. With this hormone we can burn our fat and gain more muscle. 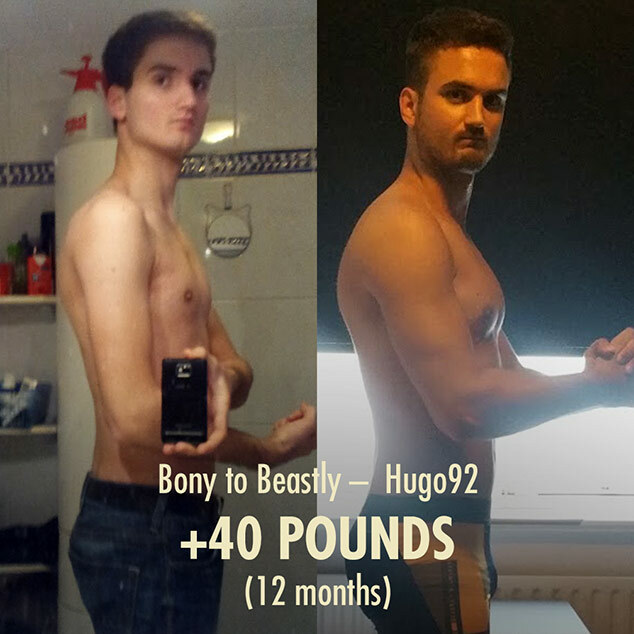 When people say that ectomorphs should eat more like a beast, but this method is saying the opposite..
What is your opinion about this ? Have you ever tried this method ? Hey Alex, for sure! I find the research into intermittent fasting fascinating, and I’ve experimented with multiple forms of it many times! The effects of playing with meal timing (e.g. 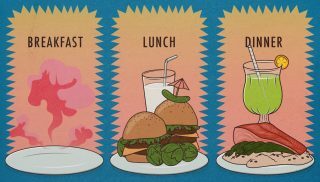 intermittent fasting) are fairly mild when compared with the effects of the quantity and quality of the food you eat … so keep in mind that this is largely a personal preference thing. 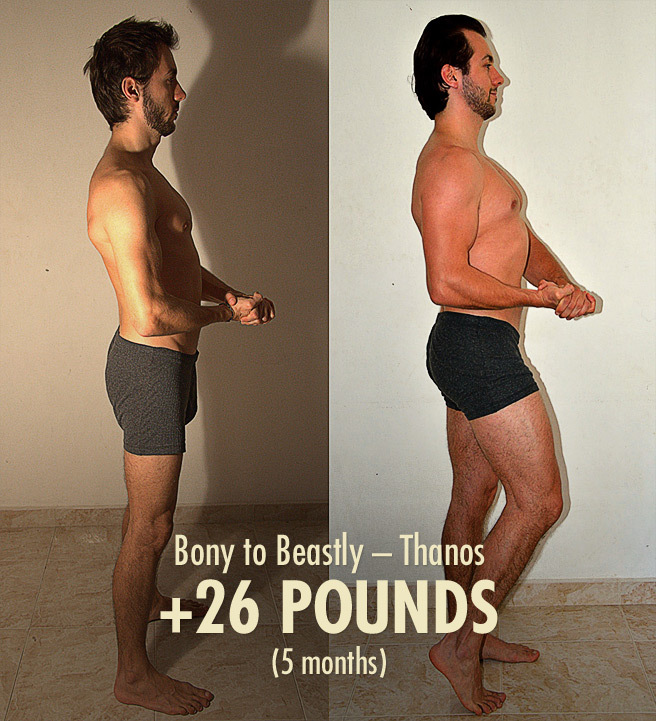 For chubbier guys who struggle when trying to consume fewer calories, intermittent fasting is a great strategy as it reduces the number of meals instead of the size of the meals. Depending on their preference, this can be pretty sweet! Lots of guys enjoy eating really large meals, so it works well. 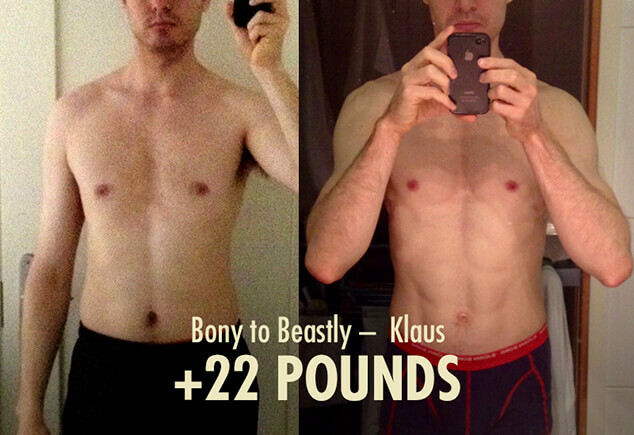 Intermittent fasting for us ectomorphs is a bit of a different story. … but keep in mind that we aren’t saying the opposite at all! Intermittent fasting is saying that you can get great results even if you eat fewer meals, so long as the quantity and quality of the food that you eat is good. What we’re saying is that we don’t care how many meals you eat or when you eat them so long as you eat the quantity and quality of foods that you need to build muscle. Ours follows the same physiological principles … it’s just a little less strict. 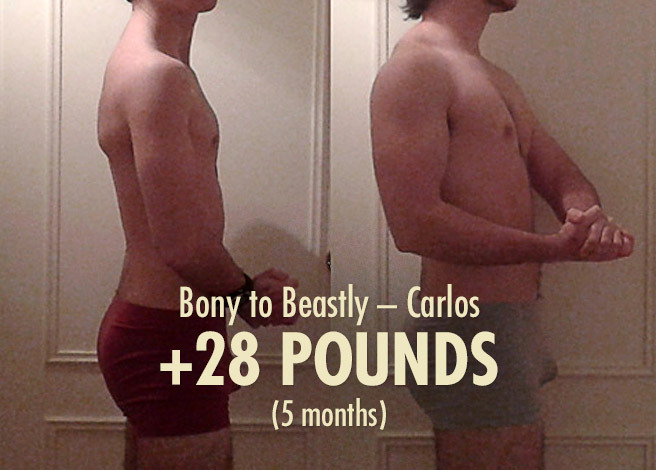 Intermittent fasting won’t make you grow unless you also eat like a beast. 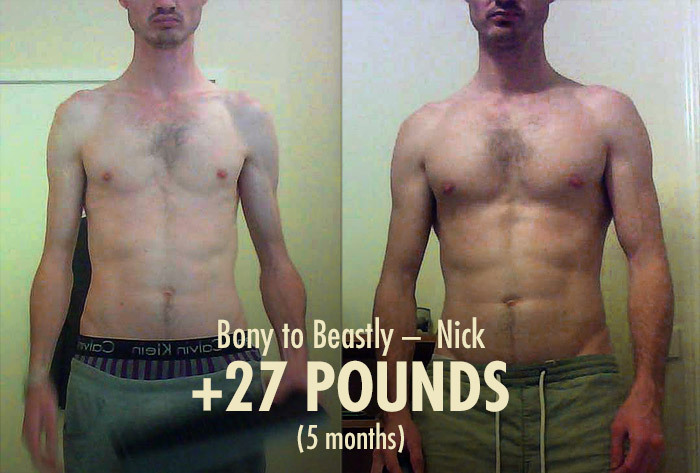 Eating like a beast is hard enough already for an ectomorph without also reducing the feeding window. 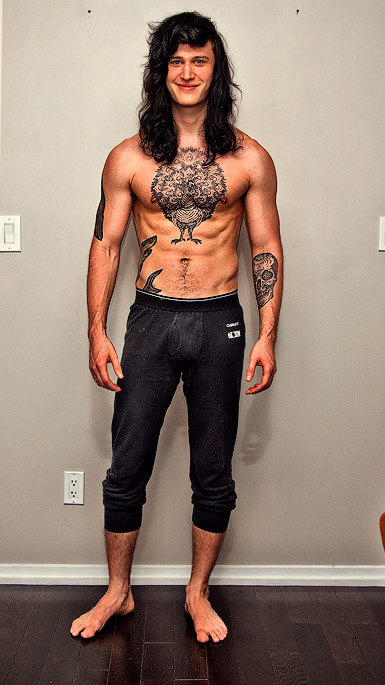 The whole “point” of intermittent fasting is to find an enjoyable and effective way for naturally big/hungry guys to consume FEWER calories so that they can lose weight and thus be lean and muscular. 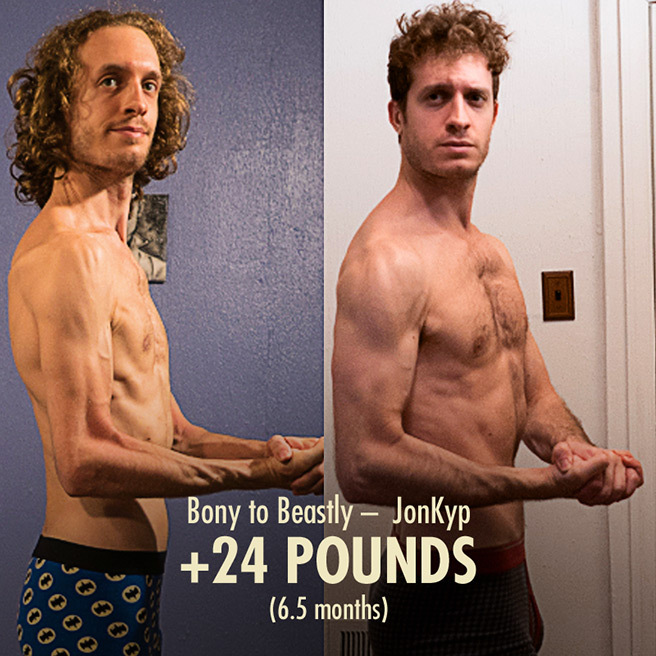 The whole point of bony to beastly is to find an enjoyable and effective way for naturally skinny guys to consume MORE calories so that we can GAIN weight and thus be lean and muscular. 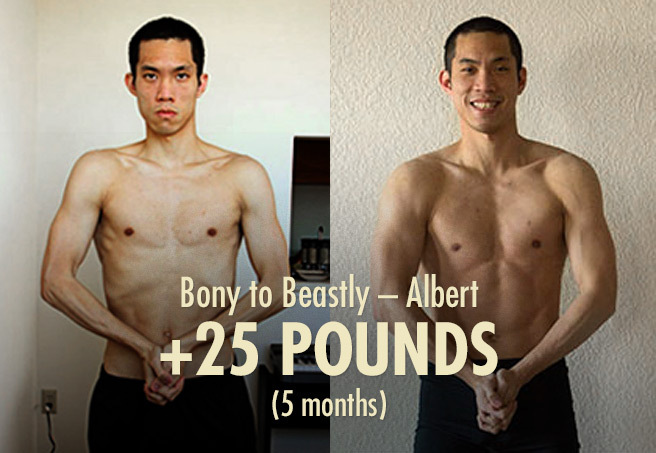 As for growth hormone, yes, there are advantages with intermittent fasting. Enough of an advantage for it to make a noticeable difference? I don’t know. We’ll have to way to see how the studies pan out as time goes on. 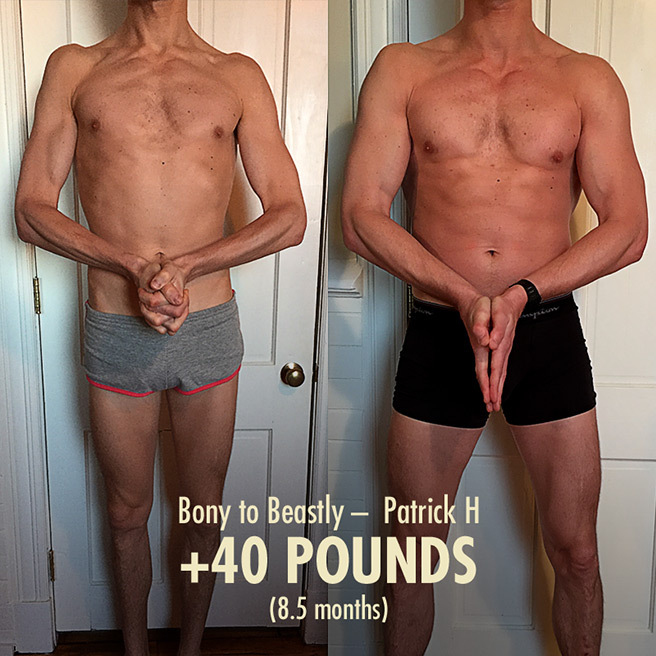 As things stand now the effect is very very mild when it comes to the difference in muscle you can build … so it’s not really worth worrying about. I must say I enjoyed the article and am impressed with the amount of research done in order to reach the conclusion. 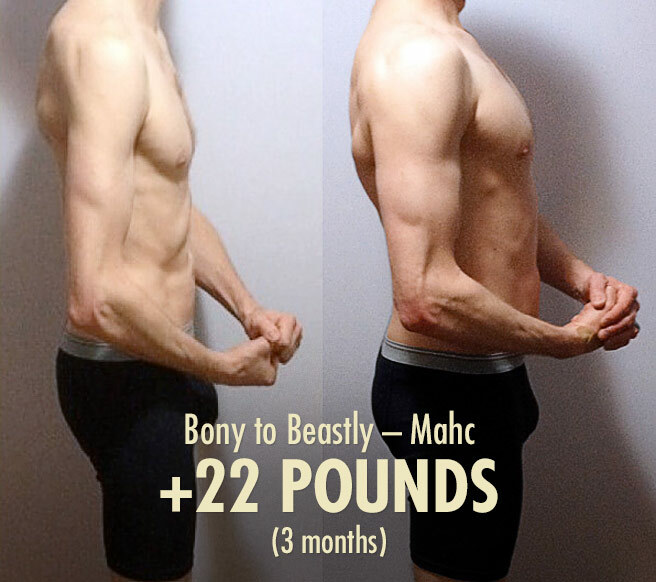 I’m a mesomorph (with slightly endomorphic tendencies in terms of diet) and have found that a high number of meals a day is the best plan for me, regardless of the goal. This, however, is only because it keeps me feeling full all day. It feels less like a change to my diet when my calories are spaced out over 2-3 hour increments. 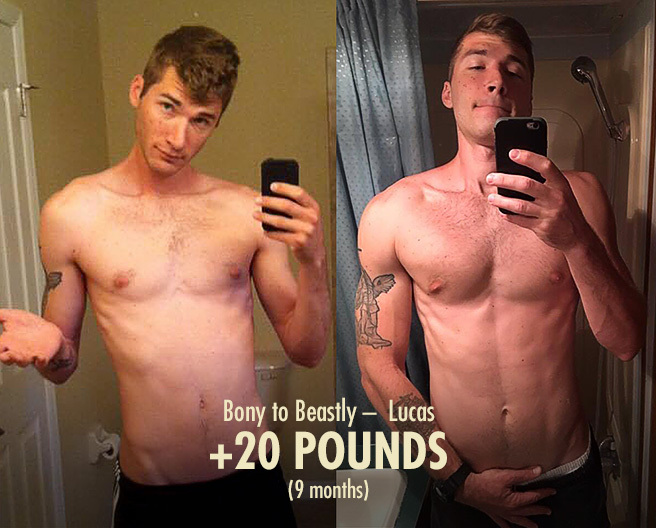 I have numerous ectomorphic friends who have had great success in terms of muscle gain when following a similar plan, but I have just as many who have had great results with a traditional 3 meals a day plan. That being said, I was wondering if you had experimented any with the (sort of) new theory of absolute failure when it comes to weight training. 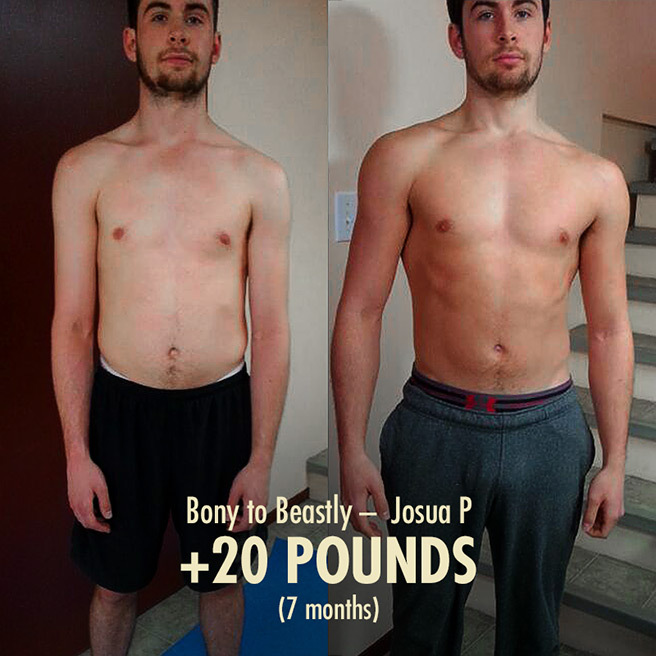 I have read and heard of people experiencing drastic strength (and in time) muscle gains when loading up weight 20-25% higher than their ORM, and doing a negative movement followed by 15-20 seconds of struggle. 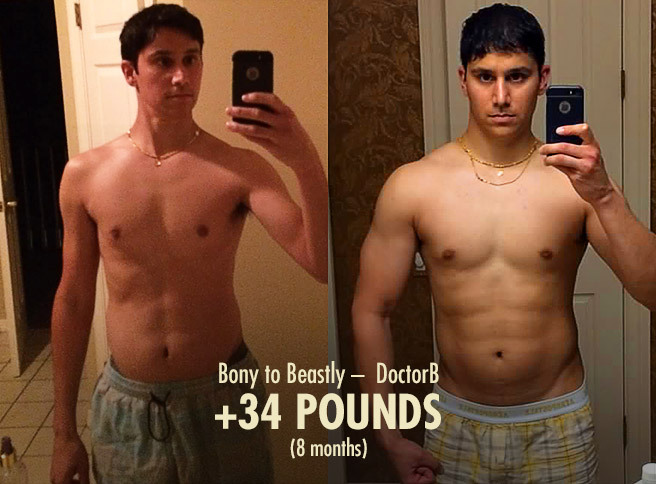 Supposedly this causes an “evolutionary switch” to trigger, in effect causing crazy muscle growth and strength gain. This would be a once a week exercise. Hey Nathan, sort of a HIT approach to training? It seems to work well for some outliers (everyone is a little different). For most people you’ll see much better results if you limit muscle damage by shying away from failure, allowing your muscles to recover more quickly, and thus allowing you to train those muscle groups more frequently. That seems to yield optimal results. That HIT approach of going to absolute failure (and even beyond) can indeed work, and surprisingly well given how little time it takes, but unless you’re very short on time and optimizing your plan for efficiency over results, you’d want to take a more classic approach where you use a higher frequency. Nice one. Youve really eased my stress with that post. Two meals a day? Looking good, keep it up and thanks for sharing. 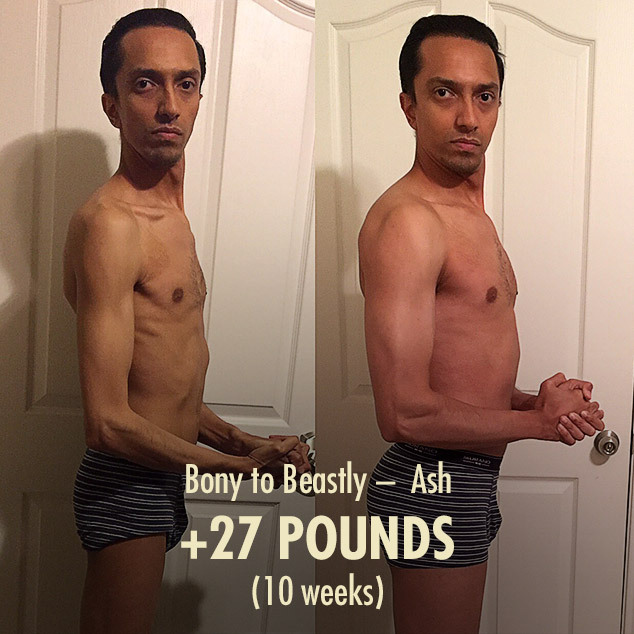 I am an ectomorph myself and have been eating six meals a day including one protein shake with peanut butter and half a banana. I eat a large meal for breakfast and a carb filled one before and after my workouts. I am gaining muscle but not nearly as much as I should be. Anything I can do about this? If I were to eat Taco Bell everyday 3 times a day I’d gain weight but eating super clean the way I do even with high protein levels is not stacking on the muscle. Help! I am doing my first N.P.C Bikini show this July and would like to grow a booty and some shoulders. Hey Lindsay. 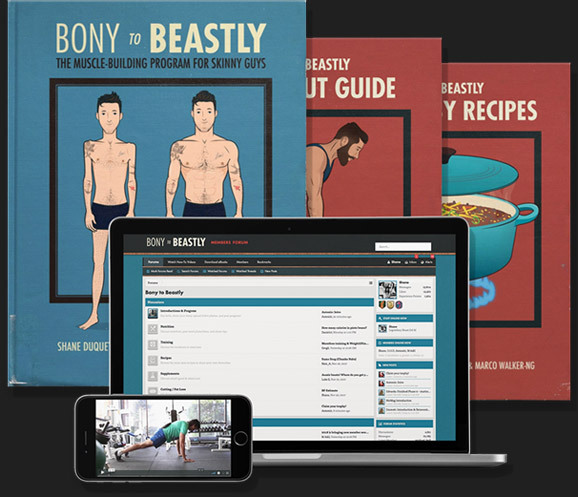 First of all, you may dig our muscle-building site for naturally thin women: Bony to Bombshell. Your question is a good one for this site too though. It sounds like your approach to nutrition is solid. You’re eating often, you’re eating enough protein, you’ve got some carbs surrounding your workouts (although really loading up on the carbs is more of a guy thing, as more estrogen causes less glycogen retention). I would just say that somewhere between the two extremes is probably ideal. 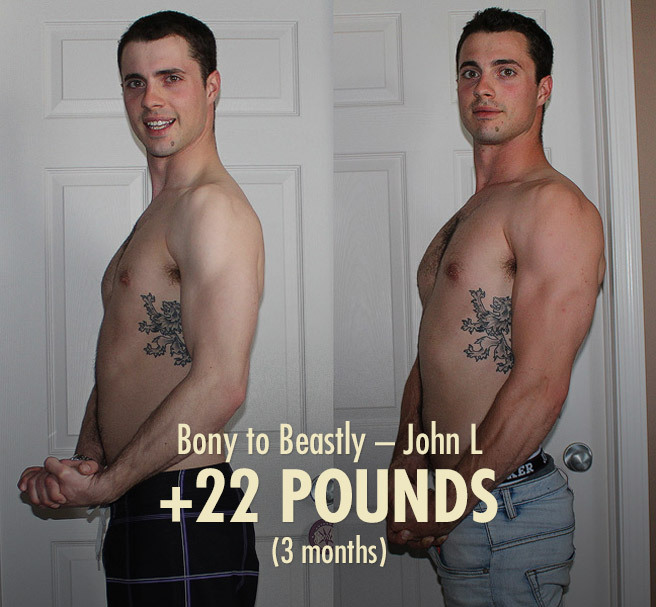 You don’t need to eat totally clean when trying to bulk up and add a lot of muscle mass. But you also shouldn’t eat a diet made up of total junk either, or you’ll gain fat instead of muscle. Try to get around 80% of your calories from whole foods, 20% from treats, supplements, ketchup and whatever else. Choose whole foods that you really enjoy too—the whole diet should be as enjoyable as possible. Also make sure to keep your calories in check. One of the reasons that junk food is so fattening is that people go way overboard with the calories. Let’s say you need 2,100 calories per day to grow. Right now you’re consuming a maintenance diet and eating clean—perhaps around 1,700 calories. Adding in a 400 calorie dessert every day would still leave you eating 80% of your calories from whole foods and may allow you to gain leanly at a moderate pace (maybe 0.5 pounds per week). If you switched to Taco Bell three times per day though you may accidentally bump your calories all the way up to, say, 3,000 per day. 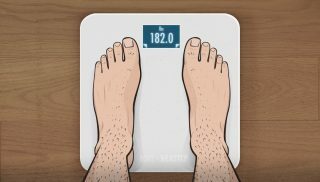 In that case, in addition to your half-pound of muscle, you might be adding on a pound or so of fat every week simply from the calorie onslaught. So feel free to dirty up your diet a little. (Or use other appetite tricks.) But don’t go full fast food. 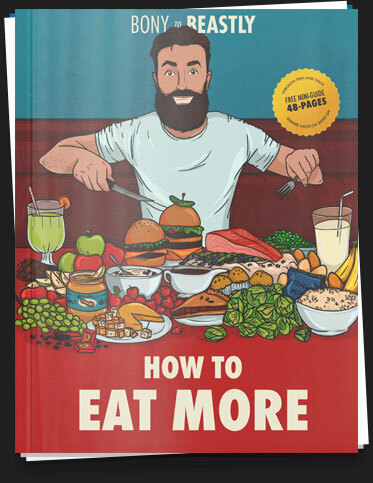 Very good read and an interesting but clearly effective approach to a muscle building diet! 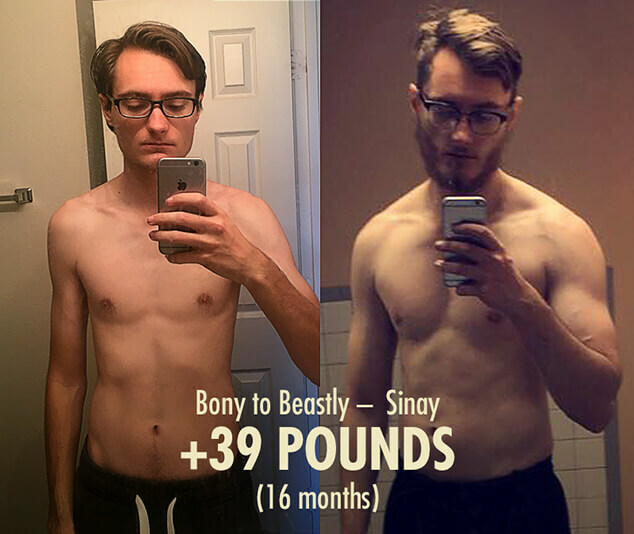 I also run a muscle building blog and it would be awesome to collaborate on something in the future!